In a quaint Irvine, California apartment on a sunny afternoon, a 26-year-old marketing manager sets up an old video camera in his living room, and nervously hits record. The shot is framed with intent, overwrought with suggestions of tech enthusiasm: a Wii U, Xbox 360, and, front and center, an unopened MacBook Pro box, which had just been purchased from a local Apple store. With the camera rolling—it was so old you could hear the digital tape—the host formally introduces himself, "Hello everybody, my name is Jon. Im a recent Mac switcher." "We have here my brand new 15-inch MacBook Pro," he says with childlike excitement. Jon then proceeds to recite the machine's specs, pausing a few times, unsure. But he eventually finds his stride, and over the course of the 5-minute video, performs his very first unboxing. Never did he think that would become his full-time job. "2.4GHz MacBook Pro – Unboxing" was uploaded to YouTube on June 7, 2007. What happened next is history. 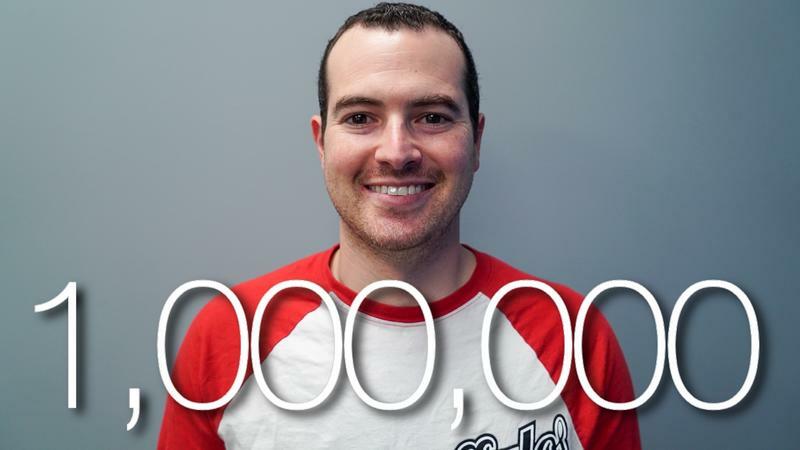 Just over 8 years later, and TechnoBuffalo has already hit 1 million subscribers. As one of the first tech bloggers to find a YouTube audience, Jon initially started a channel because it gave him a platform to gush about his tech obsession. That 15-inch MacBook Pro was the genesis of what would become a dream job. In the ensuing months, he slowly gained a substantial following, with videos about the Apple TV, iPhone, and more, and in October of that same year, recorded a video celebrating 1,000 subscribers. Now Jon is running TechnoBuffalo, reviewing the latest gadgets, and even attending movie premieres. And it would not be possible without the people that continually support TechnoBuffalo's efforts to be a leading and trusted source of technology news and reviews. We've grown a tremendous amount over the past few years, and we have no intentions of stopping now. With 1 million YouTube subscribers under our belt, our sights are already set on the next million and beyond. It seems like not that long ago when Jon was thanking the YouTube community for hitting 2,000 subscribers, and now look where he is. It hasn't been easy, but your unending support has helped motivate us to become the company we are today. And, together, our voice is only getting louder. We have a great community here at TechnoBuffalo, and wake up everyday excited to further explore the world of technology with you guys. From the bottom of our hearts, our sincerest thanks from the entire TechnoBuffalo team.